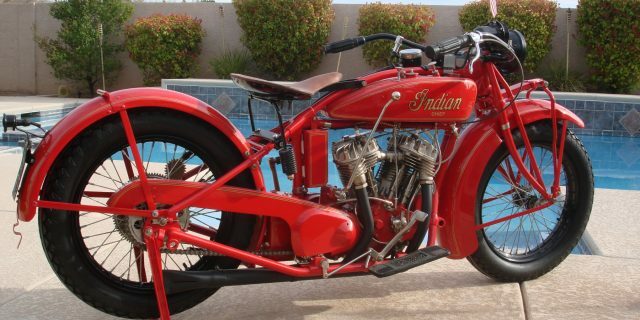 This bike was painstakingly fully restored over a 6 year period. AMCA judge Larry Ramos completely disassembled, inspected and re-soldered the fuel and oil tank, as well as doing the entire paint job. 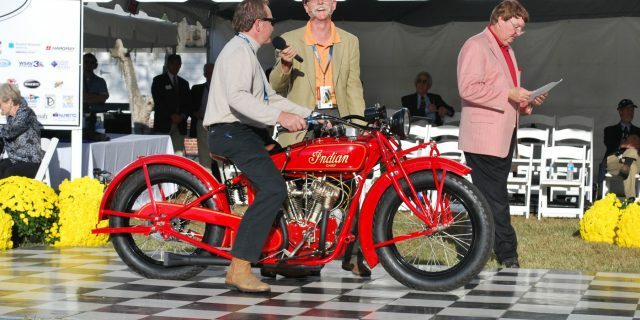 The 74 cubic inch engine, transmission and magneto were completely rebuilt by John Bivens of Indian Engineering. The frame and fork were also placed in an alignment jig and were deemed straight. The Splitdorf DU-5H generator was completely rebuilt by the top builder in the U.S., Indian Frank. 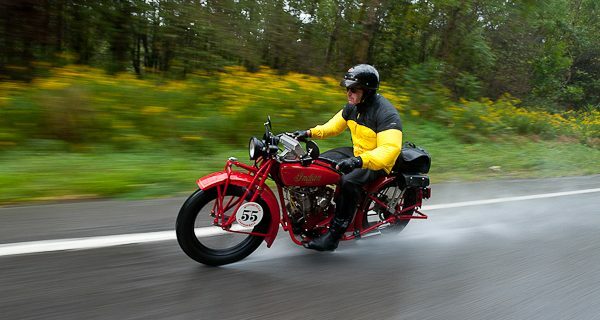 Janus Naperiala of Canada rebuilt the speedometer which is correct. The proper Shebler DLX-36 carburetor was completely rebuilt by Cotten of Liberty Motorcycle Specialties. There were two upgrades made to the bike. First, an electronic voltage regulator was built into the generator cap to reliably control lights and battery charging. You can now ride the bike during night time without worrying about having lights, as well as eliminating the problem of undercharging or overcharging the battery. This is invisible when you inspect the generator. The other upgrade was for safety purposes: the clincher rims were replaced with drop center rims and proper period diamond tread tires from Coker Tire were added. This enables you to safely ride the bike without the well documented concern of clincher tires blowing off the rim. The bike runs like a dream. I rode it in the 2012 Cannonball – New York to San Francisco.